Jupiter, FLA. - 16 players that have played on The Minor League/GOLFslinger Tour are exempt for the 2015 PGA Tour. Derek Fathauer, Jon Curran, Ryan Armour, Tom Gillis, Brooks Koepka, Nicholas Thompson, Justin Hicks, Brian Stuard, Ken Duke, Scott Langley, Steve Wheatcroft, Daniel Berger, Sam Saunders, Andres Gonzales, Carlos Sainz Jr., and Erik Compton will be out there on golf's biggest stage. Brooks Kopeka and Justin Hicks have won our Tour Championship and have 25 MLGT/GOLFslinger wins between them. Ryan Armour has 8 wins and over $33,00 in earnings. Jon Curran has 6 wins and over $21,000 in earnings. Derek Fathauer has 23 top 10's and over $14,000 in earnings. 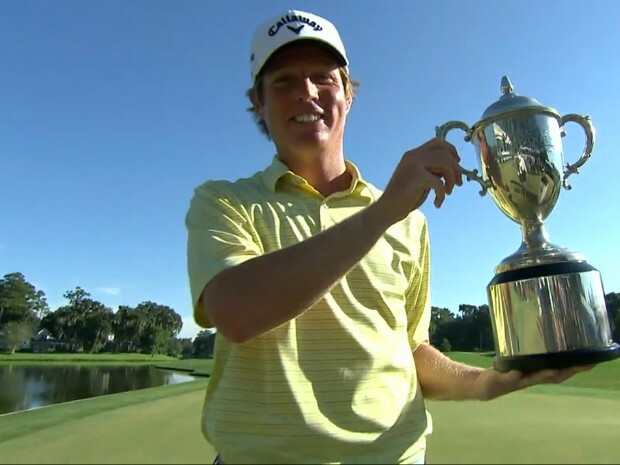 Tom Gillis, Nicholas Thompson, Brian Stuard have all won at least 1 MLGT/GOLFslinger event. Ken Duke & Scott Langley have each played at least a dozen rounds on the MLGT/GOLFslinger Tour.